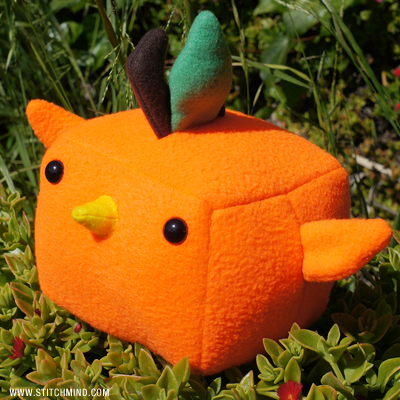 This is a soft 5x5x5 inch fleece stuffed doll of the wacky CockBlock creature in limited edition Fruity Orange color with special stem/leaf headpiece. Squeeze the leaf and it makes a Squeaky Sound. Each doll is hand-made and unique, brimming with personality, and enchanted by the finest Cockblocking magics. Pick one up today and enjoy the great powers of CockBlock.